After a very boring and dry winter for the Central Plains, how will the first full month of Spring shape up? 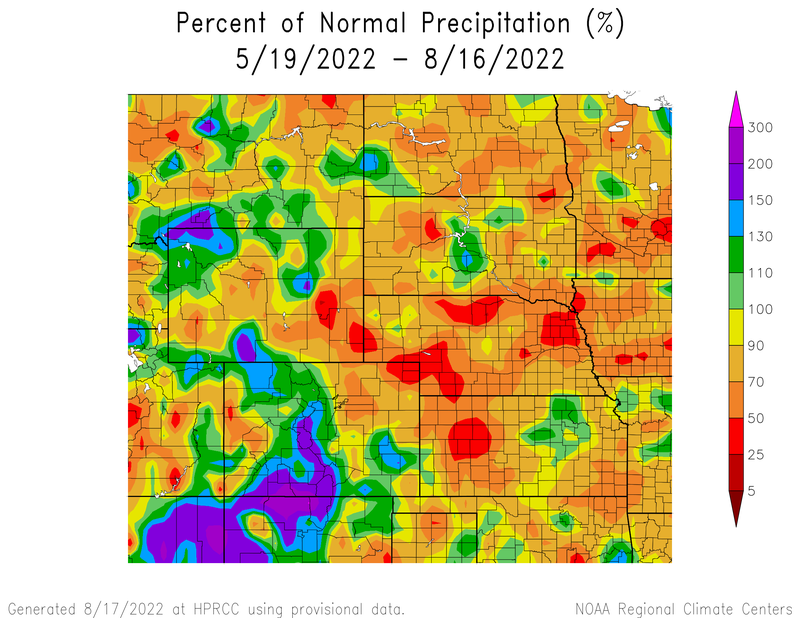 Will we finally see a change towards a wetter pattern? The first week of April will be a time to watch, as the LRC begins to favor a stormy pattern again. Here's to hoping we won't get shafted to the East once again. Thoughts? This has been the absolute worst year for storms. Even last spring and summer had very little in the way of severe weather. 2013 will go down as one of the most boring weather years I have ever lived through. Here's to hoping 2014 ramps up. It's certainly continuing the crappy trend so far. In all my years of following weather I have never seen so much blowing dust in my area. It was zero visibility in spots on my way back from work tonight. It is extremely dry out there and we have had numerous grass fires in the past couple of weeks. I'm on the volunteer fire department and we had a grass fire the other day; if it wasn't for a tree line we would have had one heck of a problem on our hands. We need precip badly! This is what happens when mother nature decides to spoil one area to death with moisture and completely screw the other. If we had half of what Eastern Iowa and Northern Illinois do we would be out of the drought. Pretty soon we're gunna have another dust bowl situation if this crap doesn't shift. Our last really wet year was 2009. On the bright side, there is a big storm to track for next week. Unfortunately it will probably follow the same trend of the past 3 years and miss us to the East. Hope this thing pans out, we need the precip badly! Check out Grand Islands weather observation from yesterday into today, some 14 hours of blowing dust!! We had a nice couple of hours of rain showers and about 1 hour of fairly heavy, wet snow. Good to see puddles in the parking lots after the dust from yesterday. Need many more of these and some to be very slow moving storms. I have talked with farmers who say 2 inches of rain would soak in and by the next day you wouldn't know it rained. I'm about to start going crazy if we don't start seeing some interesting weather around here soon. 0.08" total precip for Omaha yesterday. 18z gfs has come farther south. Hope this trend continues. It has snow for most of central and western Nebraska with the Wednesday night - Thursday night storm. The farther south, the more cold air can wrap in. Storm is still out in the Pacific so many changes will probably occur. Wrote this up on my Central Nebraska Winter Weather page today regarding the dry winter. Now that Winter of 2013/2014 is behind us, let's look at the overall pattern that shaped our weather. As you can see, we have just finished one of our driest winters in recent history. Most of the state received very little precipitation from November through March. Why were we so dry? The big reason has to do with upper level flow. If you read my 2013/2014 Winter Outlook in October, I mentioned Northwest flow as a possible hindrance to our snowfall. The Jetstream is what drives our weather, and the Jetstream has been in a very bad place for precipitation in Nebraska. The overall pattern of the winter featured broad Northwest Upper Level flow. When you have a prolonged period of Northwest flow, you will have a very hard time getting moisture into the area. As you can see by the image of Northwest flow, it works to cut off moisture from the Gulf of Mexico. The winds are not bringing moisture from the South, so storms can't get going. So what caused the Northwest Flow? The main cause of Northwest Flow this winter was a very warm Pacific Ocean. The temperature of the Pacific Ocean is often a driver for the weather pattern in the United States. This winter featured a warm body of water just off the coast of the Pacific Northwest. This causes a ridge of high pressure to develop just off the coast. Where the ridge develops will determine where the trough lays. The trough is what causes the stormy weather, and the trough was positioned just to our East for the majority of the winter. The trough to our East, working with energy within Northwest Flow, worked to produce heavy snow in Eastern Iowa and Northern Illinois. Chicago just finished one of their snowiest winters on record. This produced the opposite weather in Nebraska, with prolonged periods of dry and cold. We also had to deal with that nasty wind as well. Hopefully that wasn't too hard to understand. I know weather can get kind of complicated. Bottom line: We saw a very unfavorable pattern develop, all driven by the water temperature and a ridge of high pressure in the Pacific Northwest. South and Southwest Flow= Plentiful moisture and good storms. North and Northwest Flow= Moisture cutoff and storms rolling to our North and passing to our East. If you have any questions, feel free to leave them in the comments! Let's hope for a much wetter pattern this Spring and Summer! Great information. That is our winter, as pathetic as it has been. WIND ADVISORY REMAINS IN EFFECT UNTIL 9 PM CDT THIS EVENING. GUSTS OF 40 TO 50 MPH. PERHAPS APPROACHING A QUARTER MILE AT TIMES. AFTERNOON AND INTO EARLY THIS EVENING. I hadn't seen that. Blowing dust advisory, if people didn't know how dry we are that should be proof. Another one for you, dust storm warning??? Really???? SOUTH OF TILLED FIELDS AND DIRT ROADS. WITH GUSTS UP TO 60 MPH. THEN GRADUALLY DECLINE THIS AFTERNOON. This is beyond comprehension. The drought that never ends. The wind has blown so much I think we would topple over on a calm day. Better pray for a good storm season or at the very least a cool summer like last year. We are toast otherwise. This should put this ridiculous winter in perspective. From the NWS in Hastings. As anybody knows, much of our local area has seen a VERY dry winter, especially north of the Nebraska-Kansas border area. As a matter of fact, Grand Island has officially only measured 1.02" of precipitation since Nov. 6th. This is the least-amount of precip EVER measured during this particular time frame, out of 119 years of records dating all the way back to 1896. Hopefully April brings some much-needed moisture and this notably dry trend starts to reverse. Hard to believe how bad our luck has been. Any storm that can miss us has. Seems like we are heading back into the dust bowl or something. It's like we need alignment of the planets just to get a good storm. Newest 12Z GFS goes north and then east. If I hadn't lived here all winter I wouldn't believe it. It is almost when the precip. gets to the the border of Nebraska it goes across South Dakota and then reforms over Minnesota and Iowa. I hope this is wrong but it seems to be that the trend,that this storm is going north again. I am speechless. Well at least when it goes north the wind will blow so we have that to look forward to, incredible how jinxed we are. North Platte NWS has just issued a Winter Storm Watch for areas just west of me across southwest through parts of central Nebraska. Hope this storm will come a bit further east and especially colder temps about 50 miles east. I really don't care what type of precip I see; I just want at least a half of an inch of any type! It has been a very long time since I have seen anything significant fall in my area. I think we all should see some good moisture from this system. We need about 3 of these. None of us should care, but I know none of you do, we all just want precip. RAP/HRRR looks good for tonight. Convective thunderstorms looking to spread further west than initially predicted, areas in Eastern Nebraska could have some solid t-storms move through, giving us a hefty dosage of rain. Feels insanely good to even have sprinkles out, just that feeling of moisture out there is something I haven't felt in awhile! Hastings nws just issued wsw for my area of central Nebraska. Could be in excess of 6 inches. Depends on where heaviest frontogeneis band sets up. Should be a fun day tomorrow no matter what happens. It has been a long time coming. First winter storm watch of the season issued on April 2, go figure. Just saw that! Congrats you guys I just hope we get rain here! If you've seen the drought map, the most dry areas have actually been Omaha/Lincoln, so it'd be bad if we got shafted. Gabel, looks like you could even get in on the 6"+! WOOO! Happy for all you guys out west of here, hope everything pans out. I here ya mid west, I really don't care how we get it just give us all a nice soaking! I'm thinking if it all pans out I could see 1-3" of snow with central neb weather possibly being the big winner. I hope we are all winners and see a good .5-1" drenching area wide. RAP has been looking great for your area Gabel. Has a good area of up to 1 inch through tomorrow morning from Omaha and back to the West. Looks like a line of Thunderstorms could move through between 3 and 6 A.M.
Can you post the RAP Clint? Thanks! http://www.instantwe...=APCPI&hour=018 Here's the link to the latest one. Really blows up the precip around Omaha and to the East, but I think it's still good for you. Another swing and a miss. Most forecasts downgraded. It is beyond belief how these great looking storms end up missing us or being much weaker as the midwest gets hammered with rain and storms. Heavy drizzle here now and maybe a little snow later, but not enough to do any good. Beyond frustrated. Are we really surprised anymore? It really is beyond belief that EVERY storm that comes through ends up being weaker. It doesn't seem to happen anywhere else. Chicago can be expecting 1-3 inches from a storm and then get 5-10. It's just not fair. We need the moisture more than anyone else in the Midwest, and we just can't get squat. Get ready fellas, it's gunna be a long road to drought. I noticed yesterday in fields on the edge of Holdrege that several of them had large cracks. I don't remember seeing that here before. This drizzle sure makes it look like we are getting great moisture but that will just hold down the dust for a couple of days unless something more substantial comes our way. This winter will go down in the history books, but not for anything positive. What are your thoughts on the potential el nino for next year and its impacts on Nebraska? Well, normally an El Nino winter means warmer than normal for our area. If it's a Moderate/Strong El Nino we will be talking a torch of a winter. In 09-10 we had a weak El Nino but the AO/NAO played a major role in the winter pattern. We all know how awesome that year was......every El Nino is different. Yep every El Nino is different. It depends a lot on how strong the El Nino is and what the NAO AO and PNA are. One positive of El Nino is a strong southern jet, which can work to bring better forcing and more moisture. El Nino can bring some huge storms. Good information. I am always a little more confident about storms when they come out of the southwest instead of these northwest flow winters. Might be a little warmer but they can provide good moisture in the form of snow, rain, but sometimes ice. Sleet hitting the window here now with about 34 degrees. Looks like the snow band is inching towards me from the southwest. Still just light rain, drizzle, some sleet from time to time. Not a flake of snow yet. Unless something happens in the next few hours we will go from a Winter Storm Watch of 6 or more inches last night to 0.0 inches of snow. I would say swing and a miss again and another strikeout. Frustrating. Our state is quickly becoming more and more like a desert. I think the drought is having a serious affect on the storms around here. One of the scariest drive homes I have had in a while. I was coming back from Columbus around 11:30 and holy cow was it ripping. Visibility was down to pretty much the front of the car and there were no tracks thru the snow on the road. Ended up with around 3" of snow easily, tough to tell how much actually fell due to melting at first. North Texas had some nasty storms. Northeast of me in Geenville, near Dallas, a tornado touched down. Glad you got moisture also. I would say here we had several inches. Hard to tell with the way it melted but still have about 1 inch on the ground at 10:15 this morning. It was a welcome relief from the dry conditions, at least for awhile. I really think we are about done with snow. Well hoping for more here next year but will miss the daily checking of this site for information. It is an adrenaline rush for me when people on this site start to track a storm days or weeks away and though it can be frustrating I find in fascinating. It will now be a long wait until late fall. GFS is showing a monster storm for the 12-14th time-frame. The thing drops over 1 inch of precipitation for Central and Eastern Nebraska. Looks like the instability would be there for Thunderstorms. Precipitation stays liquid. This would be extremely beneficial for the drought. Too bad the thing is still a week away. We all know what happens to big storms around here once the time gets closer.